Welcome to Pikes Peak, CO! 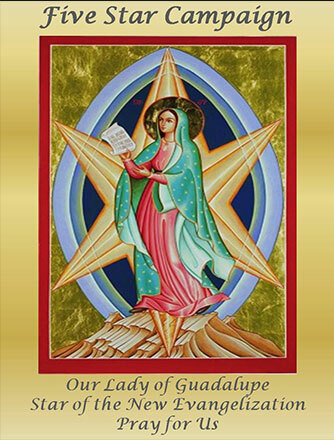 We welcome you to Pikes Peak, CO Our Lady Queen of Families Chapter webpage. These are exciting times that we live in and Magnificat was begun in 1981 for such a time as this. There are now over 100 chapters throughout the United States and its territories and in many foreign countries. 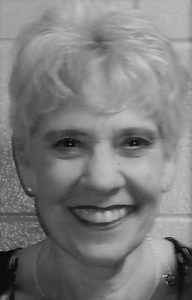 Bernadette Tittle has been in the field of education for over 50 years. She was the Director of Faith Formation for the Diocese of Colorado Springs for the past 33 years. She retired in June of 2016. Bernadette presented several adult programs at Sacred Heart Parish in the fall of 2016 through August of 2017. These included the Gospel of John, The Mystery of God, Untold Blessings and Catholicism. In the fall she did the Pivotal Prayers and began the Great Adventure Bible Study program which will continue through May. As director of Faith Formation, Bernadette was privileged to work with Preschool students through sixth grade and adult formation. She was also a Director of the RCIA for 23 years which was one of her greatest jobs. Second to this was the opportunity of forming a team of excellent certified catechists who were committed and dedicated to sharing their faith with others and taking leadership roles within the parish. As a certified spiritual director, Bernadette, has presented several retreats throughout the dioceses. Her life experience includes being a wife, mother, grandmother, friend and mentor to many. Bernadette enjoys the outdoors, especially gardening and hiking. She loves to read and crafts of all kinds. Her family is Bernadette’s top priority and she is blessed to be able to spend quality time with them and all their life activities. Religious books are available at the meal. Tickets for priests, deacons, religious brothers and sisters are complimentary, but reservations are required and this may be done by contacting Michelle Cowan at MagnificatofPikesPeak@gmail.com Members of the Service Team of Magnificat also have tickets for sale. Your check will serve as your receipt. Ticket sales end Sunday February 18, 2018. Please use this form for Mail In Reservations ONLY. $20.00 per person by mail. Registration Form must be postmarked by February 16, 2018 to receive your confirmation. Contact Us: If you would like to help with a Ministry of Magnificat, or if you have a question or comment for Our Service Team, or if you would like to be on our Mailing list for future events, Contact us at MagnificatofPikesPeak@gmail.com. Our Lady Queen of Families started from a desire to bring women in our parish together over a shared meal, and to celebrate our faith. We visited many organizations to find what we were looking for. With the power of Google and a list of desires we found Magnificat. We attended the National Charismatic Conference in Denver in 2013 and met Kathy MacInnis, the Magnificat Central Service Team Coordinator. 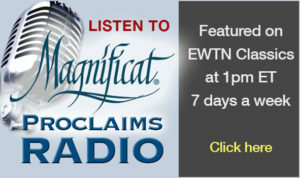 Magnificat was born out of the Charismatic Renewal, a new idea for most of us in the group. Through Praise and Worship, Life in the Spirit Seminars, and our Spiritual Advisor, Deacon Chuck Matzker, the Holy Spirit poured grace upon us and opened our hearts. We were welcomed as an official chapter on April 6, 2015.